Why is Gordon Wasson important? He’s considered the discoverer of the magic mushrooms, the man who launched the psychedelic movement, and is also considered the father of the field of ethnomycology. 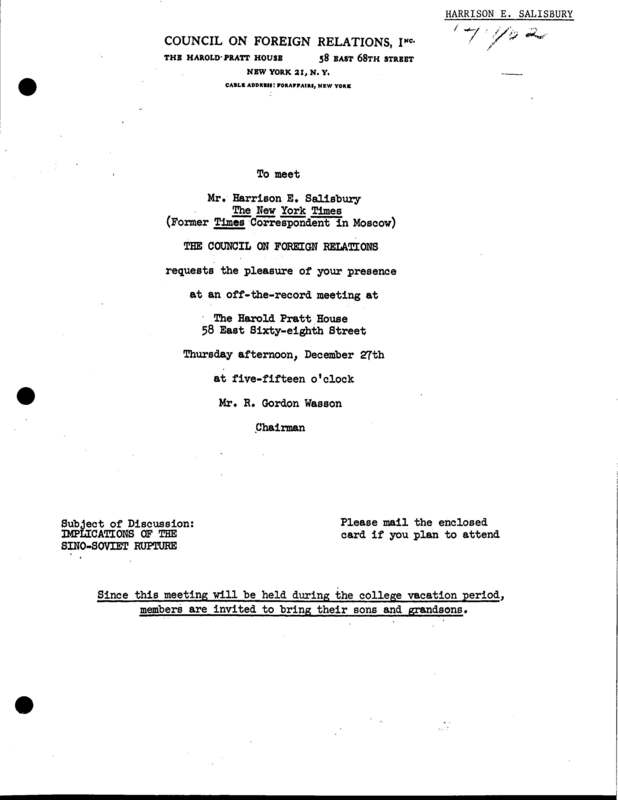 1) Wasson headed the CIA’s MKULTRA Subproject 58 program. 2) Wasson served as a chairman to the Council on Foreign Relations (the CFR). 4) Wasson worked as a VP to JP Morgan Bank at 23 Wall St, a.k.a. “The Corner”. 5) Wasson was PR (propaganda) VP for JP Morgan, and helped to sell the current financial system created by his boss, JP Morgan, at Jekyll Island (see Secrets of the Federal Reserve by Eustace Mullins). 6) Wasson had close ties to Allen Dulles, head of the CIA. 7) Wasson earned a directorship at a pharmaceutical company for his mushroom discovery. See Letcher, Shroom. 10) Wasson had a Russian wife, Valentina, who was religious. – agenda to protect. Valentina was from the Russian intelligentsia – or Russian elite. Their story of her collecting mushrooms as a Russian peasant in the woods on their honeymoon seems patently absurd. This fact has been pointed out by their daughter: “Such an explanation seemed to me like a Hollywood soap opera, something out of character for my father.”. 11) Wasson plagiarized many of his ideas of Soma from John G. Bourke’s book on Scatology – 1892. 12) Primary documents reveal that Wasson was involved in helping to cover up JP Morgan’s involvement in the Civil War’s Hall Carbine Affair, and that Wasson directed the disinformation campaign. It appears that this act earned Wasson a position as VP of PR for JP Morgan Bank. 13) Wasson’s direct boss at JP Morgan, Henry Davison, was Skull & Bones. Henry Luce at Time-Life was Skull & Bones. Davison created Time-Life for his boss, JP Morgan. CD Jackson, head of US psychological warfare (purchaser of the JFK Zapruder film), was VP at Time-Life. Jackson is famous for his footage at the Buchenwald camp. Jackson later became president of Time-Life. 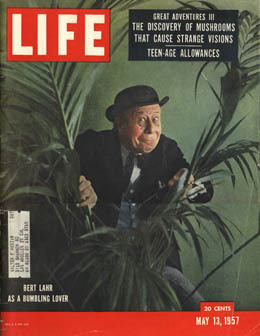 Wasson claimed “by a chance meeting with Luce”, that he published his “Seeking the Magic Mushroom” (May, 1957) with Life Magazine (http://www.imaginaria.org/wasson/life.htm). Luce and Wasson were long time members of the Century Club. 14) Wasson launched a campaign to destroy John M. Allegro’s work before it was even available. All of Wasson’s claims against Allegro have subsequently been disproved (see The Holy Mushroom, Irvin, 2008). 15) Wasson covered up that Andrija Puharich was CIA/ARMY/MK-Ultra when he attacked Allegro, calling Puharich merely “a man”. (see The Holy Mushroom, Irvin, 2008). 16) Wasson was a runner up (1 of 8.) as chairman to the Securities and Exchange Commission running Wall Street and the NY Stock Exchange. 18) Wasson helped to launch the psychedelic revolution – sending thousands of beatniks to Mexico in Search of the “Magic Mushroom”. 19) Wasson was associated to no less than 6 persons suspected of being involved in the JFK assassination. See Jackson and Luce, above, as examples. 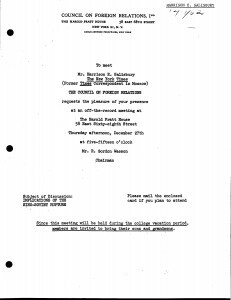 Primary documents link Wasson to the JFK assassination from many angles, including directly to George de Mohrenschildt (the close friend of Lee Harvey Oswald) and the Zapruder film. de Mohrenschildt’s wife worked for Abe Zapruder, and de Mohrenschildt himself worked directly with Wasson. On de Mohrenschildt’s suiciding, Wasson’s number was found in his pocket – along with others such as George H. W. Bush (another suspect). 20) Wasson was close friends with Edward Bernays, whom he hung out with for at least 10 years. Bernays is the father of propaganda and spin and nephew to Sigmund Freud. 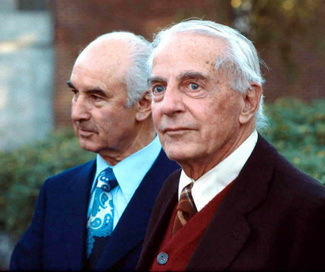 21) Wasson was on the executive committee for the Research Program on the U.S.S.R.
22) Wasson served as chairman to the Committee for the Promotion of Advanced Slavic Cultural Studies. 23) Wasson was in a top position in the Century Club. The Century Club is an elite/CIA/OSS intelligence front posing as an exclusive “art club”. Wasson gave lectures there on his mushroom research to the private/intelligence members. 24) Wasson ran the Russian Student Fund, Inc., for the CIA. 25) Valentina ran the St. Saraphim Foundation. 26) Wasson worked as director to Sandoz pharmaceuticals (above Hofmann? Same position as mentioned by Letcher? See #6. See also B.H. Friedman, Tripping, pg. 48ff.). 27) Wasson may have worked with Dr. Timothy Leary to distribute LSD (See also B.H. Friedman, Tripping, pg. 48ff.). 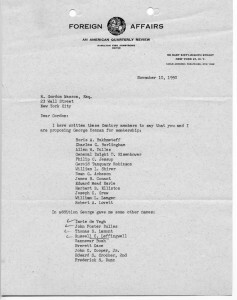 Gordon Wasson nominates George Keenan and John Foster Dulles to the Century Club. Foreign Affairs (CFR) letter head. 28) Wasson nominated John Foster Dulles, Walter Lippmann, George Kennan, and other infamous characters to the Century Club. 29) Wasson was friends with Allen Dulles, the head of the CIA. 30) Wasson was friends with George Kennan, one of the people behind Operation Paperclip – a program to secretly bring top Nazi officials and scientists into the USA and elsewhere for research and other covert purposes. 31) The Wasson family has intentionally suppressed this information and has prevented access to the Wasson archives at Harvard to anyone who does not uphold the current Wassonian myth. Wasson’s family requires all researchers to tell them exactly what they’re going to write about Wasson before they’ve even seen the documents (!) – a logical impossibility – forcing researchers to lie or commit the fallacy of ad ignorantium – if they want access. Launched on October 15, 2016, this website will be dedicated to exposing R. Gordon Wasson and all of his treasonous activity with the CIA, et al. While this website is being worked on, those interested may continue their reading here. Really wonderful website. So important and needed. I love the simple clarity of it..the writing style. Great work, Jan! Truth will out.